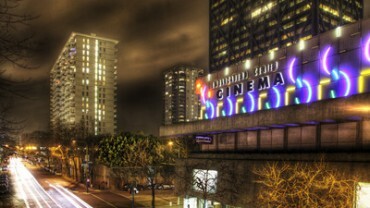 The Embarcadero Center Cinema is located in the heart of San Francisco’s Financial District on the corner of Battery and Clay. Since opening on Bastille Day in 1995, the seven-screen cinema has taken the city of San Francisco by storm. It is not only one of the busiest and highest grossing Landmark Theatres, it also ranks nationally among the most successful and prestigious theatres featuring high-profile independent film and foreign language cinema.